Inspired by a host of wonderful teachers, Matilee Howard Johnson decided that she, too, wanted to play a part in the development of younger generations. She worked hard and achieved her goals, becoming a teacher at the Everglades School for Girls in Florida from 1957 to 1961 and a teacher at The Hamlin School in California from 1960 to 1961. 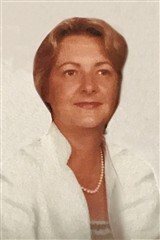 Moving up the ladder, Ms. Johnson became the teacher and dean of students at the Westminster Girls’ School in Georgia in 1961. She spent the remainder of her career there, eventually retiring as the headmistress in 1977. During her time at the Westminster Girls’ School, Ms. Johnson served in a variety of other roles as well. She was a substitute teacher at the Dana Hall School in Massachusetts, the conference chairman of MISBO, and an educational consultant at the Pingry School and the Kent Place School. Additionally, she was part of the convention committee of the National Association of Principals of Schools for Girls. A lifelong learner herself, Ms. Johnson was always looking for ways to expand her knowledge. She earned a Bachelor of Arts from the University of Georgia in 1957, and completed postgraduate work at Colgate University, Emory University, Georgia State University, and Oxford University. She also holds a Master of Arts in administration from Georgia State University and a certificate in educational administration from the state of Georgia. In Ms. Johnson’s spare time, she enjoys creating jewelry, arranging flowers, swimming, skiing, and decorating. Further, she is passionate about using her skills to help out in her community. She has been a volunteer with the Disney Family Museum and the Presidio of San Francisco since 2009, and was previously a member of the special acquisition committee of the Montgomery Museum of Fine Arts, the Community Council of Montgomery, the Montgomery Chorale, and the women’s committee of the Carnegie Museum. Other charitable endeavors include serving on the board of directors of the Landmarks Foundation in Alabama and the advisory board to the convocation chairman of March of Dimes. Ms. Johnson’s passion and dedication have not gone unnoticed. She was honored to be included in eight volumes of Who’s Who in the World, five of Who’s Who in America, and two of Who’s Who of American Women.